Family Art Days are a fun time for families of all ages. Everyone is inspired by imaginative topics such as: Flora, Fauna and Fungi: Drawing from Nature, inspired by Maria Sibylla Merian’s work or Creating Natural Images on Sunprint paper. The first class is From Birds to Flying Machines, inspired by Leonardo Da Vinci designs. Classes start this Saturday at the San Juan Islands Museum of Art (SJIMA) from 1-5 at the 540 Spring Street workshop. All workshops are free for families and children ages 12 and under. The workshops continue each Saturday until March 2 and are generously sponsored by Suzy Wakefield and the Community Foundation of San Juan Island. King’s Market, Nana’s Holiday House, Mystical Mermaid and Jeanne Earnhart also make the free classes possible. Visitors may choose to make a reservation at the front desk during regular hours or call 360-370-5050. Trained instructor Lana Hickman creates these workshops especially for our residents and visitors. During her imaginative classes, everyone learns more than art techniques. 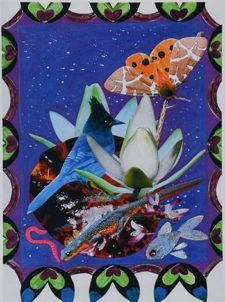 Enjoy the Celebration for the Community at SJIMA until January 21, which honors the art of Mary Ann Rock and Sam Connery as well as exhibiting creations from the Spring Street International School. Hours for the exhibitions are Friday-Monday 11-5 and admission is free.